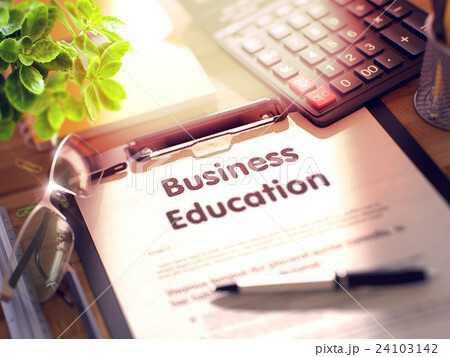 Clipboard with Business Education Concept. イラスト素材: Clipboard with Business Education Concept. Office Desk with Stationery, Calculator, Glasses, Green Flower and Clipboard with Paper and Business Concept - Business Education. 3d Rendering. Blurred and Toned Image.